Event administrators may have a need to allow for multiple payments or installments on a form. This document will show how to use FormBuilder's "split payment method" option to achieve this. Users need to pay for an event using installments. FormBuilder doesn't technically have an "installment payment" option, but it does have a way to allow users to split payments, which can be used for installment payments. NOTE: Users will need to authenticate on a form that has installment payments. FormBuilder will need to remember the user each time they log in to make an installment payment. See Document ID 58139 for setting authentication. 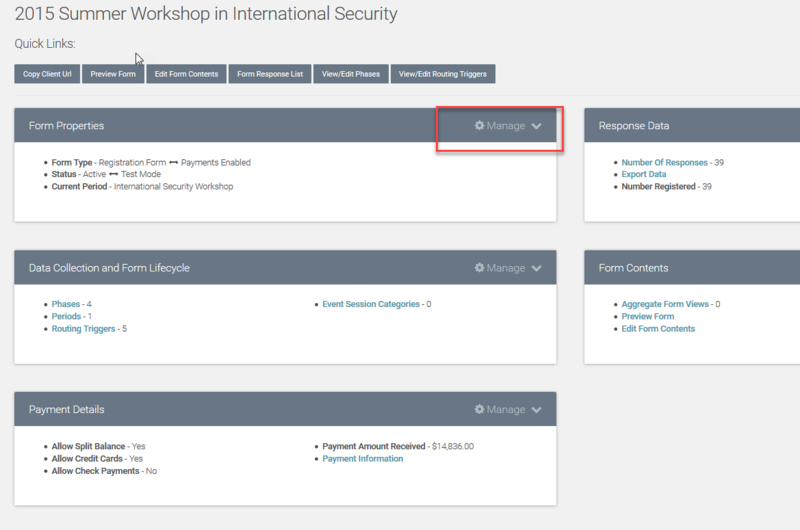 In the Payment Details section of the form properties, check the Allow the user to split the balance due among multiple payment sources box. 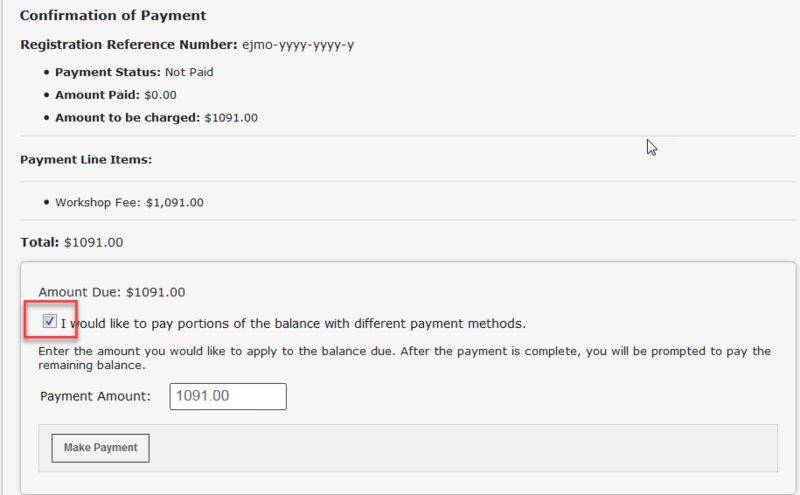 This will add the option to the Payment Processing page. Click Save. 4. Find the Payment Processing Instructions section on the page and click Edit Section Properties. Update the text to include instructions letting users know to click the "I would like to pay portions of the balance with different payment methods" box on the Payment Processing page. 5. This will open the payment field to allow them to enter the deposit or installment amount to be paid. 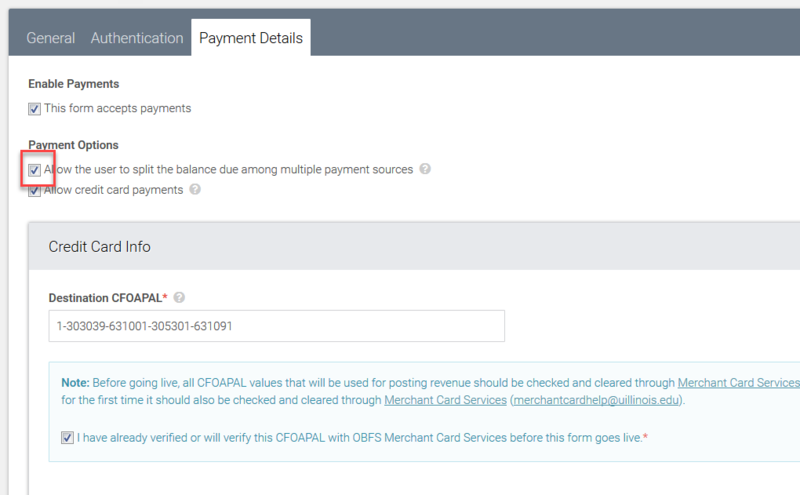 Users will now see the option to do an installment payment from the Payment Processing screen. FormBuilder will keep track of payments made and amount still owed. Users will remain on this page until the final balance has been paid and the balance is $0.